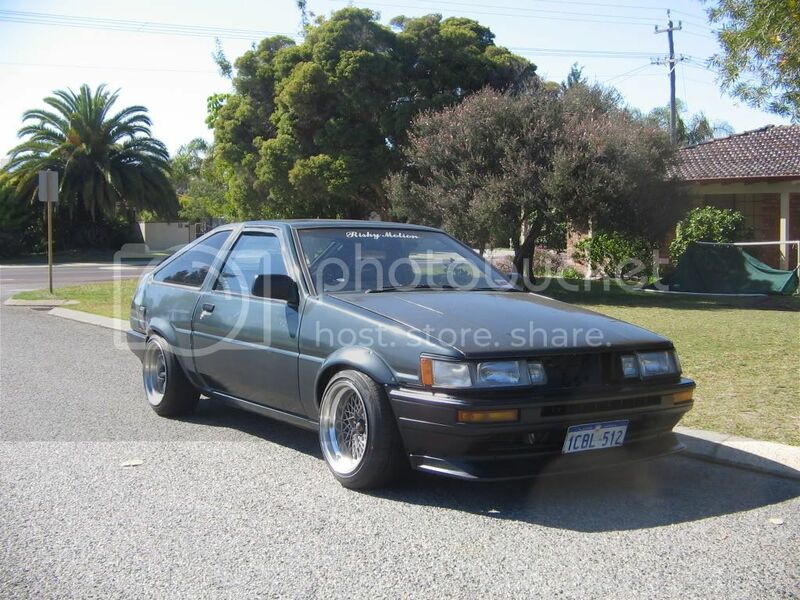 1983 AE86 - Not Registered, can be re-registered with Engineering. Suits Track/Drift/Hillclimb/Khana. External Bosch 096 Pressure Pump. Corona Mark II F Series Diff, Stronger than the standard JDM AE86 diff. RE01-R Front tyres, currently running Nangkang rears. $12,000 ONO.. Open to Offers, please PM. EDIT: $11,000ono!!! !~~~~ I need this gone, start offering me people that are intrested. Last edited by Matt-AE86; 9th February 2009 at 09:12 PM. Price drop to $11,000ONO!! I need this gone, anyone that is interested please get in contact with me, I am open to offers near this price. Last edited by Matt-AE86; 9th February 2009 at 09:31 PM.